Our economy range of audio cables are assembled with Nickel connectors for your low cost audio needs. 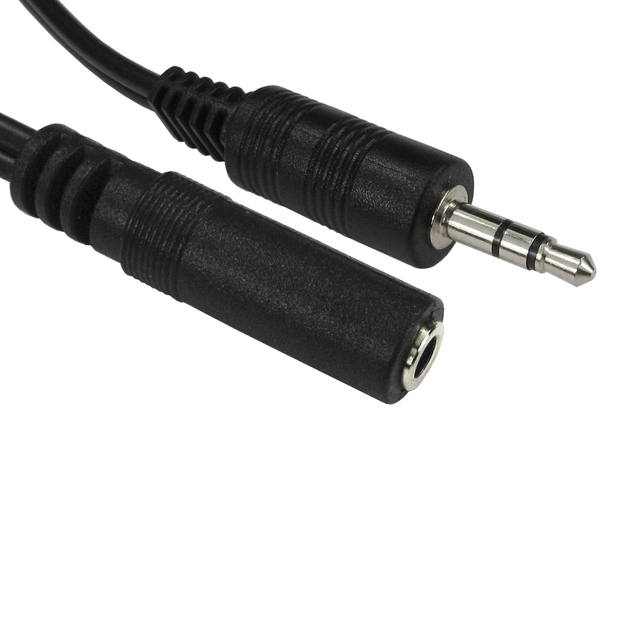 Ideal for extending a cable connecting two pieces of audio equipment that have 3.5mm output on one and 3.5mm input on the other. The male type of connector can also be referred to TRS or Tip Ring Sleeve.